Nothing is more frustrating than a business that doesn’t have good WiFi. Asking a receptionist in the waiting room or a waitress in a restaurant for the WiFi password is sometimes akin to asking for nuclear codes. In 2016 we’ve come to expect most businesses to have fast and complimentary WiFi. The NETGEAR WAC730 ProSAFE Wireless Access Point is a high performance dual band that supports up to an aggregate throughput of 1.7 Gbps. 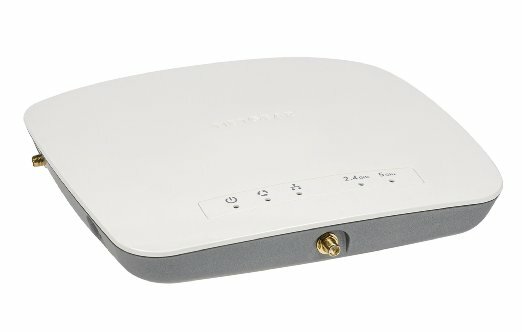 This access point operates in either standalone mode with an intuitive user interface or in “ensemble mode” for centralized group management of up to 10 access points of the same model. It is ideal for those needing superior throughput, maximum performance and extensive coverage. Schools, camps, hospitals and hotels will especially appreciate the ease of use and coverage, but it’s also great for small businesses and organizations like churches and synagogues.